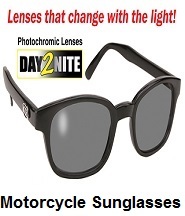 Sale on motorcycle headwear, save on face masks, headwraps, leather hats, skull caps, goggles and sunglasses at Motorcycle Gear Superstore. 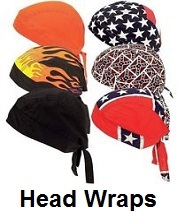 Low prices and free shipping on all motorcycle headwear and biker head gear, when bundled with other items. 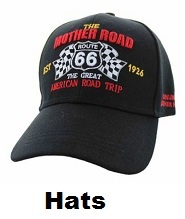 How to select the right motorcycle headwear. 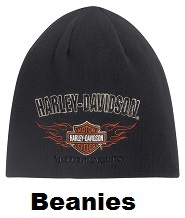 Choosing the right headwear for riding, is basically a bikers own personal preference. Most of the time motorcycle headwear is chosen by the style of riding a biker is doing, or they choose what best suits their wardrobe. 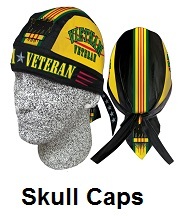 Some bikers choose to wear skull caps or headwraps to keep the sun of their head while riding. 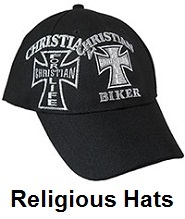 Others may choose a leather hat to help protect their head. some bikers wear a bandana to keep the sweat out of their eyes while riding. 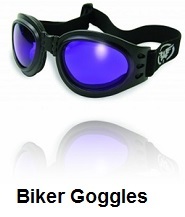 When the weather gets cold, most bikers will wear a face mask to help protect their face from the elements. Most face masks are insulated to help protect your face while riding. 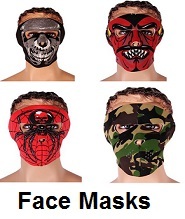 selecting the right face mask is up to your own judgement. 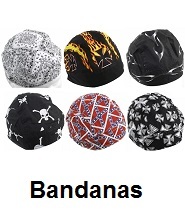 There are many styles of motorcycle headwraps, skull caps, bandanas, leather hats or face masks to choose from. 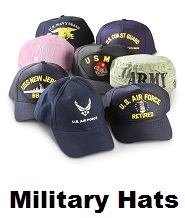 The main thing is to select the headwear that will help protect you and suit your needs. All our leather hats, face masks, bandanas, skull caps and headwraps have a 30 day unconditional return policy. Just return any leather hats, face masks, bandanas, skull caps and headwraps within 30 days and we will grant a full refund.